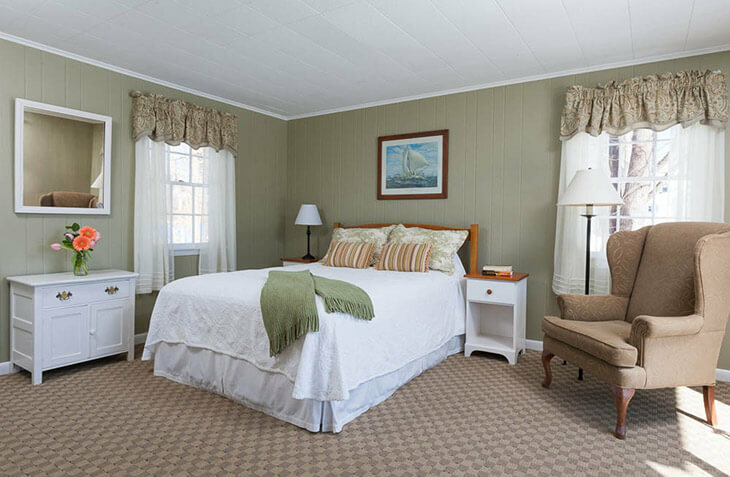 Quiet comfort awaits you in this room at our Portsmouth, NH area inn. 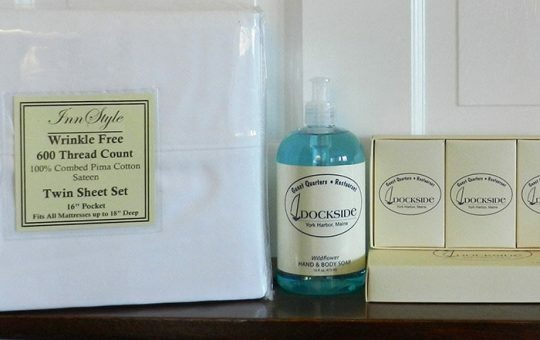 In the Lookout building on the first floor, the room offers a queen bed with a private bathroom. The water views are beautiful from the private deck. 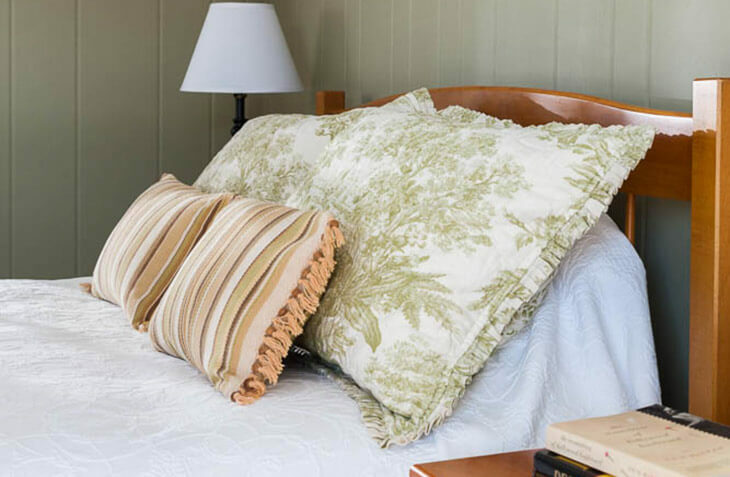 It’s the perfect respite at the end of your day shopping in Kittery, Maine.